March is a great month for sports. There's March Madness, which is heading to into the Sweet 16, and Major League Baseball is deep into spring training, both on top of the NBA and NHL heading for their respective playoffs. Buried under all that sporting content is the run-up to The Masters, golf's most prestigious major. Sports fans, get to you couch, get out your beer, and for heaven's sake, put some pants on. I know no one's watching with you, but have some decency. At the least, wear pants when you're eating the nachos, melted cheese is a scalding hazard. Of course, if you're just here for the golf, we're moving right to it. Let us, as Wayne Campbell used to say to Garth Algar, "Party On". That's my age verification for today. To be fair to those of you that didn't get it, Jordan Spieth wasn't even born when that film was released. To those of you that did, I'm sorry for your graying hair or receding hairline, or both. 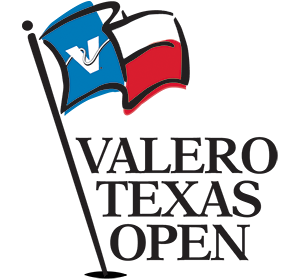 The Valero Texas Open means we're just two tournaments away from the great, green wonder that is Augusta National. At 7,435 yards, the AT&T Oaks course at TPC San Antonio is both longer than any course I've ever played and the only course on the tournament docket with a sponsor built directly into its name. The course features tight fairways, plenty of sand, and native areas that maimed Kevin Na's scorecard when he took 16 strokes to finish a hole after finding his way in there. So find accurate players with some length and sand skills. Jim Furyk - TA: 12, CHG: (-7.2) - I'm as tired of seeing him at the top as you are, but the fact is, this guy is a fantasy mule. He ain't pretty, he ain't long, but one thing's for sure, he ain't gonna miss the cut. Furyk finished sixth here last year and third the year prior. Statistically, he's excellent for this course, even if he's not especially long off the tee: 8th in driving accuracy, 3rd in GIR, and 2nd in SG:T2G. Those stats won't win at every course, but they're a recipe for the most consistent chocolate chip coo- I mean, results you'll find. Matt Kuchar - TA: 16.25, CHG: (-3.2) - Speaking of consistency, the second best option is hardly second best. Kuchar, like Furyk, could hardly be considered the sexiest choice out there (though that smile could cure sad off of a "Blue Era" Picasso), he's an easy one to make. He's riding a streak of 18 consecutive cuts made, and with a T4 last year preceded by a T22 and T13, he's likely to extend that. Throw in the fact that, unlike Furyk, he can putt, at 21st in Strokes Gained, and he's a magician around the greens, at 3rd in Sand Saves and 4th in scrambling, and you'll have to steal his wedges to keep him from making the cut. Daniel Summerhays - TA: 24.375, CHG: (+9) - Sure to catch some vitriol for this one, but only the two players above him beat his track record here over the last three years. Summerhays finished second here last year and seventh the year prior. He's been trundling along with some solid, but not spectacular, golf as is usual for him, finishing once in the Top 10 and once in the Top 25 in his last three starts. Martin Laird - TA: 26.625, CHG: (+11.4) - At this point, some of you many want to read this list backwards, but I'm hoping if you're here, you understand that the golf gods care little for pedigree. I'd suggest you ask Henrik Stenson about that, but he'll snap you faster than a 7-iron over his knee. Back to Laird - missed the cut last year, but won the year prior and finished ninth prior to that. A Top 5, Top 10, and Top 25 make the highlights in his last five starts. His stats appear to set up well for this course, since he's long and relatively accurate and putts well, which is good, because he's eighth in GIR. Jordan Spieth - TA: 28.5, CHG: (+1.2) - Easy enough, as always, to make a strong argument for him. Won two weeks ago at Valspar in an epic playoff, and if you ignore the "oops" missed cut at the Farmers Insurance Open, he hasn't finished worse than 17th in 2015. Not especially accurate from the tee, but at 3rd in Strokes Gained:Total, it hasn't matter, and it likely won't this week. Shane Lowry - TA: 29, CHG: (-19) - Being given a little bit of the benefit of the doubt, since that MC at Bay Hill was his first since June of last year. The Irishman finished 15th here last year and he's since grown a beard, which we all know adds 10 yards to drives and shortens putts by 4 feet. Statistically, he matches up well, with good length off the tee (37th), decent accuracy (73rd), and a solid sand game (19th). He's 11th in Total driving. Jimmy Walker - TA: 29.25, CHG: (-2) - His last two starts have been... how do I put this delicately... not up to his standards? Yes, I put a question mark on the teleprompter. Prior to those finishes, he was arguably the best American golfer, with Bubba Watson being in the same conversation. Since, Bubba has maintained that position with Jordan Spieth and Patrick Reed making their own compelling arguments. Still, he hasn't missed a cut in 12 starts and finished 16th last year despite a 76 in the opening round. Martin Kaymer - TA: 31, CHG: (-5.8) - The straight-talking German (are there any that aren't?) hasn't played the AT&T Oaks, but he likes to play his best golf when it is least expected of him. His last two starts haven't been excellent, but, like Walker, prior to those, it would have been hard to argue against him. Should be off most radars, so he'll be as much of a flyer as a former world number one can be. Ryan Palmer - TA: 31.25, CHG: (1) - He appeared to be cooling off after a quick start to the season, but he managed to turn it around with ease after missing the cut at Pebble Beach. Palmer has logged two consecutive Top 25s since, and while his history here isn't overly impressive, it does include three straight made cuts and a single T15 at the event. Nick Watney - TA: 31.25, CHG: (+9.4) - Would have made an excellent pick at Bay Hill but Withdrew early in the week. Like Walker and Kaymer, his last two starts have been a little bit weak, but nevertheless, he's already well past his earnings and matched his Top 25s, and Top 10s, from last year. Statistically, he's not doing anything Merlin would be jealous of, aside from being nominally above-average in a bunch of categories. Matt Jones - TA: 34.75, CHG: (+13.4) - Made a believer out of me at the Arnold Palmer Invitational. I hemmed and hawed while rejiggering my lineups after Bubba Watson withdrew, and his name kept begging to find some space in one of my lineups. I balked, put in J.B. Holmes, and subsequently ate my hat. He's only missed one cut on the year and already has more Top 10s than last year, a year in which he won. Statistically, he's excellent for this course: 43rd in Total Driving, 30th in Sand Saves, and 40th in SG:Total. Brendan Steele - TA: 35.125, CHG: (-6.6) - He's playing some tremendously good golf this season, made evident by the noticeable lack of missed cuts while riding a current streak of 14. Steele is already one of the longest players on Tour, ranked 12th, and ranks 30th in Sand Saves. He missed the cut here last year, but had a T4 in 2012 and picked up his only PGA Tour victory here in 2011. Dustin Johnson - TA: 35.14, CHG: (+19.8) - Speaking of long drivers, this guy is the longest. Longer than Bubba, longer than Adam Scott, longer than everybody by a first down, give or take a yard or two. Since returning from hiatus, he's got a win, a playoff loss, a T4, and a missed cut, so he sounds like he's playing excellent, right? Well, yes, he is, but statistically, he doesn't quite match up here. He's 205th in driving accuracy, 153rd in putting, and 190th in Sand Saves. He'll be around on Sunday, I'm just not sure if he'll be at the top or at the bottom. Pat Perez - TA: 35.38, CHG: (-14) - Remember earlier when I said that only the two players above Summerhays beat his track record here? I lied. Whoops. Perez finished 11th last year and 5th in 2011. Its a shorter list than Summerhays' but definitely still valid. Missed the cut last week at Bay Hill after putting together eight consecutive cuts, a stretch that included a Top 5 and a Top 25. Form is a little bit shaky, but his history here should carry him through. Daniel Berger - TA: 37.375, CHG: (-0.6) - Another week, another mention for the rookie. Is it me or is the rookie class this year incredible? Better than a beer and a pastrami sandwich after 18 holes for sure. It's close, but this rookie class is that good. As usual, no track record for this event, but that clearly isn't any sort of brick wall for him. Expect his fearlessness and strong play to continue right up until the point where it doesn't.